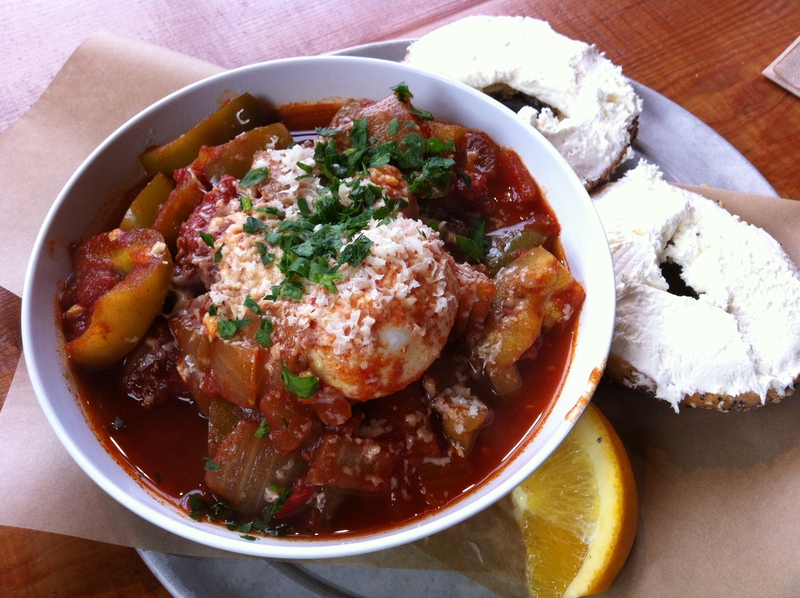 New to the Capitol Hill area, Eltana is the place to go when you need a bagel fix. 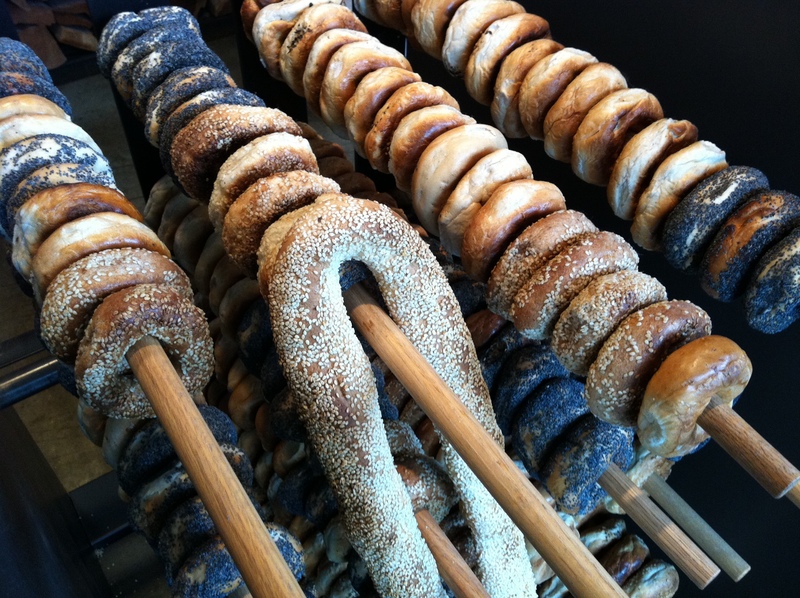 Made fresh right there, the bagels are hand-rolled and wood-fired giving each bite the most deliciously mild smoky flavor. There are sweet and savory spreads (aka cream cheese) to choose from, from honey almond to fava bean mint as well as different kind of bagels. 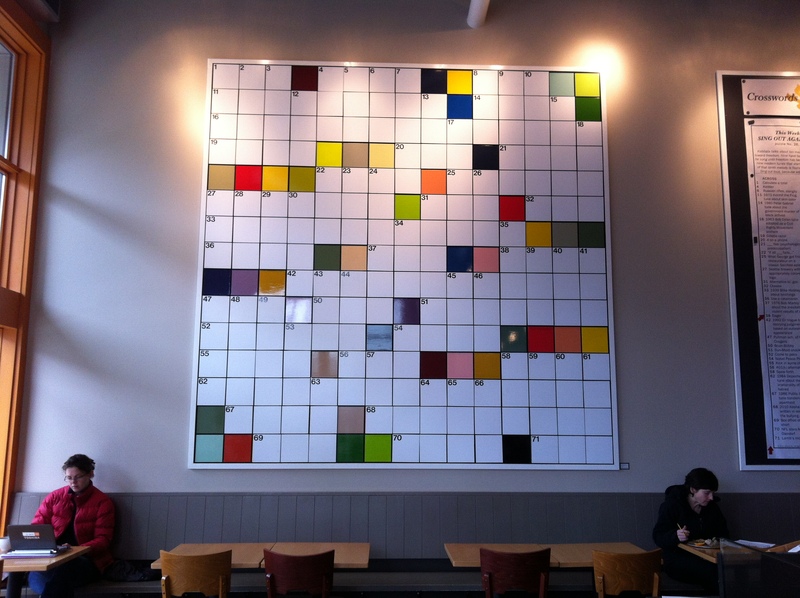 *Our friend Justin Kane Elder made the wall sized crossword shown here. I haven’t participated but every week there’s a new crossword puzzle that you can get a copy of and do while you enjoy your food. Something different and fun!